One million photo views and counting on our Flickr site. We’re frankly surprised at the interest in the history of the struggle for social and economic justice in the greater Washington, D.C. area. Each photo has a short description. Groups of related photos are organized into albums. Each album–sometimes a specific event and sometimes a group of related images–have a longer description that puts the images in context. We also publish this blog for a deep dive look behind selected images. You can see our photo stream organized by date the image was uploaded or check out individual albums. Check out our in-depth blog posts that are organized by the decade (on right of this page or simply scroll down). 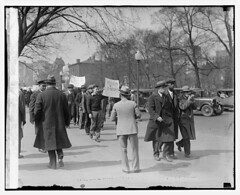 The first nationwide response to the Great Depression occurred March 6, 1930, including a picket line at the White House in Washington, D.C. Looking for more unemployment protests? 1935, 1937, 1940, 1973, 1977. 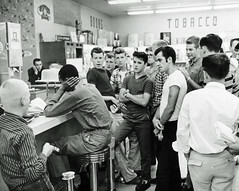 District of Columbia public accommodations were largely integrated in the mid 1950s but the surrounding suburbs remained bastions of segregation. Arlington, Rockville, Bowie, Glen Echo, Bethesda, College Park, Silver Spring were but a few of the towns that saw sit-ins, pickets and arrests demanding equality. 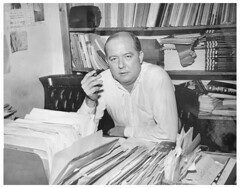 Read a brief biography of one of these pioneers, Dion Diamond. 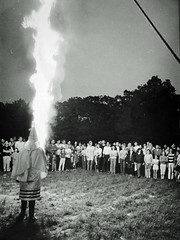 The Ku Klux Klan was active throughout the 1960s opposing civil rights and antiwar efforts (one person’s experience). So too was the American Nazi Party. See photos of confrontation in Arlington, Glen Echo, Mt. Ranier, Camp Springs, Frederick and Rising Sun. Interest has been high in the struggle to desegregate Washington’s transit system (background story), women streetcar and bus operators during World War II (background story), and in strikes conducted by member of the Amalgamated Transit Union in 1974 and 1978. As the 100th anniversary of ATU Local 689 approaches, check back in the coming year as we post images from early efforts in 19th century to form a union and strikes in 1916, 1917, 1945, 1951 and 1955. 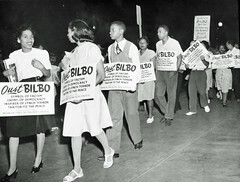 Little known today, they helped lay the groundwork for the mass demonstrations, boycotts, sit-ins, pickets and other forms of protest that broke down the worst aspects of segregation in our area: 1922 Anti-Lynching Protest (background story), 1933 March for Scottsboro (background story), 1936 Police Brutality Protests (background story), 1940 Gone with the Wind pickets, 1941 Police Brutality Protest (background story), Integration of D.C. 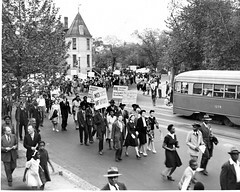 Theaters (background story), The Fight for Fair Employment, The Fight Against the Poll Tax, 1946 Protests Against Sen.Bilbo, 1946 Anti-Lynching Protests, the effort to Free Willie McGee and the Martinsville 7, Mary Church Terrell, the Prayer Pilgrimage for Freedom, among others. 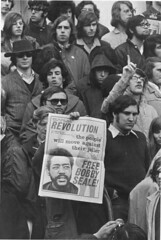 The movement against the Vietnam War involved hundreds of thousands of people across the country. Check out the first mass marches on D.C in 1965, The march on the Pentagon in 1967, The Counter-Inaugural in 1969 (background story), University of Md protests in 1970 (background story), 1971, 1972, Mayday protests to shut down the government in 1971 – May 1, May 2, May 3, May 4, May 5, a 1972 march on the Pentagon and 1972 rally downtown, the 1973 Counter-Inaugural and the last demonstration against the Vietnam War in D.C. in 1975. 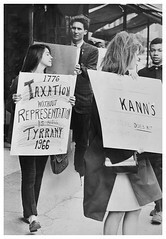 See earlier 1941 and 1958 antiwar protests. We felt there was historical gap between the internet era and the print era in the struggles for social justice. 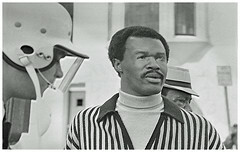 We started by publishing photos and negatives that had been improperly stored from the 1972-1975 Montgomery Spark, Washington Area Spark and On The Move tabloid newspapers. We followed up by researching images available from various sources including the Library of Congress, the D.C. Public Library, the National Archives and auctioned photographs. And occasionally we publish longer blog posts that give a more detailed look. See all the images in albums or in the order they were posted. Enter your email address to follow Spark and receive notifications of new posts by email. Welcome to our overhauled website! Each image has its own permissions, check before utilizing. All images may be shared from Washington Area Spark Flickr, using embed codes.